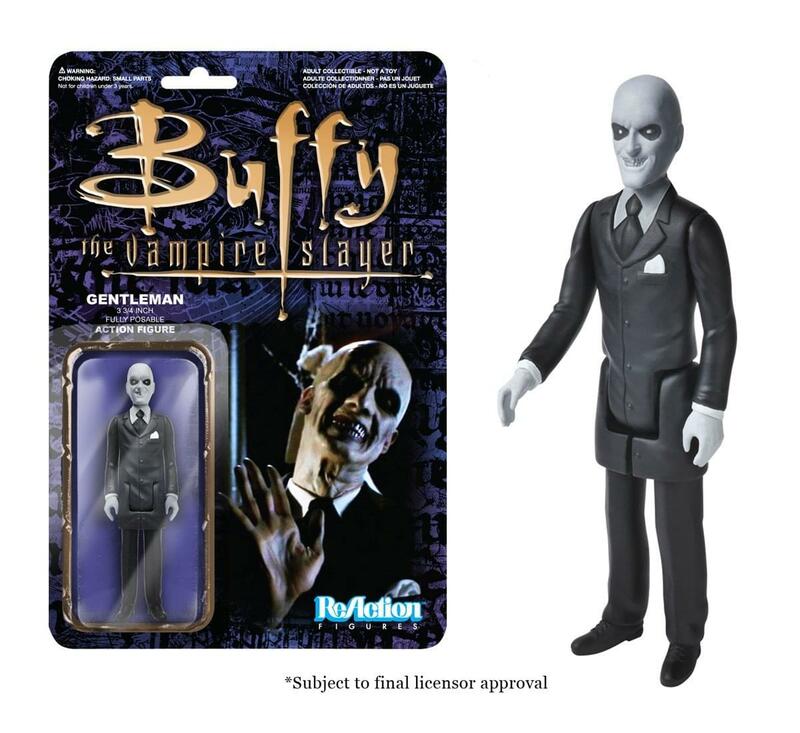 Go back in time and reminisce about the good ol' 90s with this Buffy the Vampire Slayer The Gentleman ReAction Retro Action Figure! 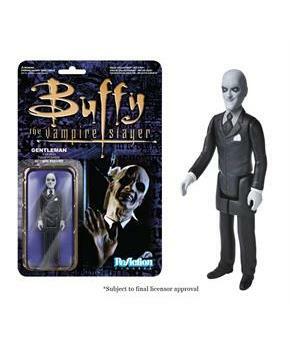 Featuring the likeness of The Gentleman in a simplified retro Kenner format, this Gentleman Action Figure is a must-have for all Buffy the Vampire Slayer fans! This 3 3/4-inch tall ReAction Gentleman Action Figure has 5 points of articulation and features the 1980s style card back design, with a coffin-style blister where the action figure is displayed! Each card back features a memorable look of the character from the classic TV series. Just like the classic Kenner action figures of the 1970s and 1980s!